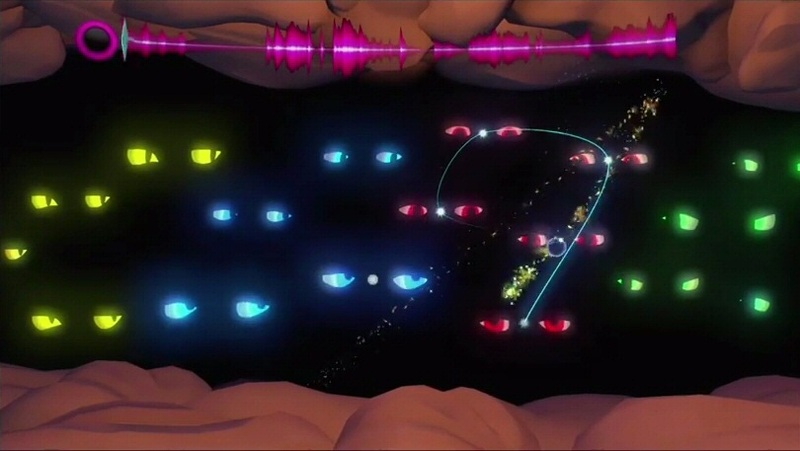 Harmonix has gifted us with fantastic rhythm games in the past. I can't even begin to guess how much Rock Band I've played on my 360, and I do have a couple of Dance Central games - the problem with those for me is that I don't relate to the music as much as in Rock Band. I was hoping for something new in terms of music and rhythm games to arrive on Xbox One, and since my visit with Disney a couple of E3s ago, I was sold. I was fortunate to receive a review code too, since I thought there wouldn't be enough of those to go around. My first time playing it I was exhausted from an 8 hour shift (standing and walking around all day), yet, I still stood in my living room playing it until almost 10 p.m. - and then I found out you can actually play while sitting down! 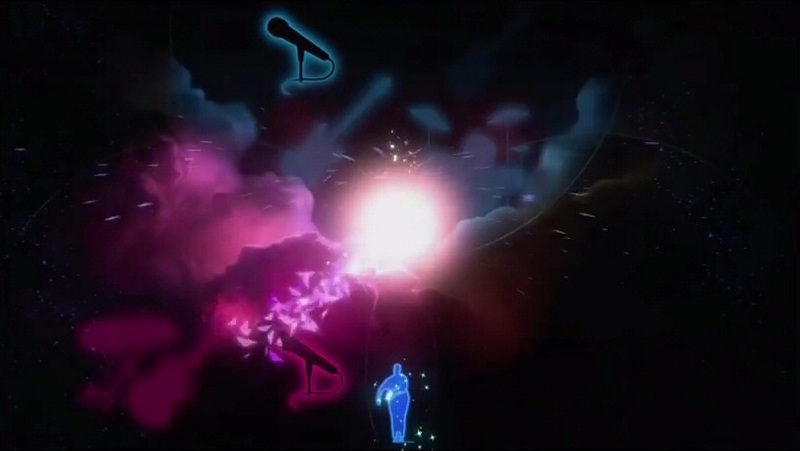 In Fantasia: Music Evolved you become the sorcerer's apprentice. 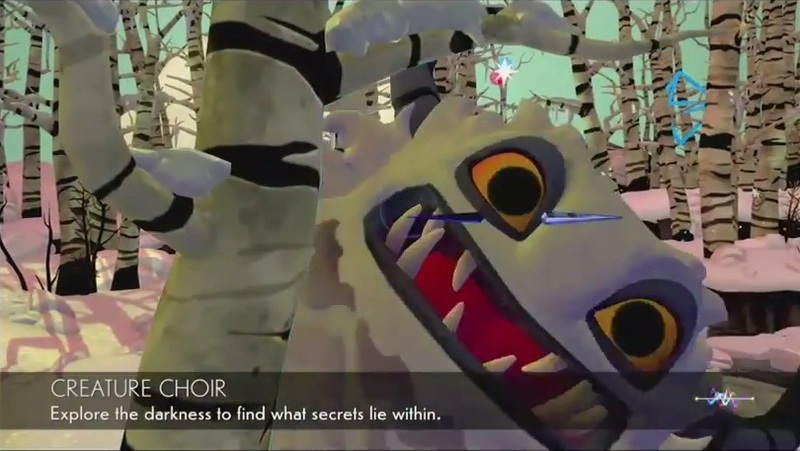 Yen Sid is training you in the ways of magic as you conduct the music with your movements. As the story goes, you meet another apprentice, Scout, and together you will work to rid the different realms of the dreadful Noise. Each realm has about a handful of songs for you to play, collectibles to find and little surprises to discover. Each song has specific goals that you must reach to unlock the fragments needed to finish the realm's Composition Spell. The basics of the game are simple: punch, swipe and hold. Fantasia teaches you what to do every time something new happens. At the start of a song, you choose the mixes you will begin with, with more unlocking as you reach certain scores. You can change mixes at different point throughout the song, and they will tell you to listen for certain instruments to match your movements. It's amazing what you can do by adding your personal touch to the song you're playing, especially when it comes to creating your own beats or short musical pieces. One of my favorites was turning Mozart's Eine Kleine Nachtmusic into what sounded like a cross between Caribbean beats and Samba. 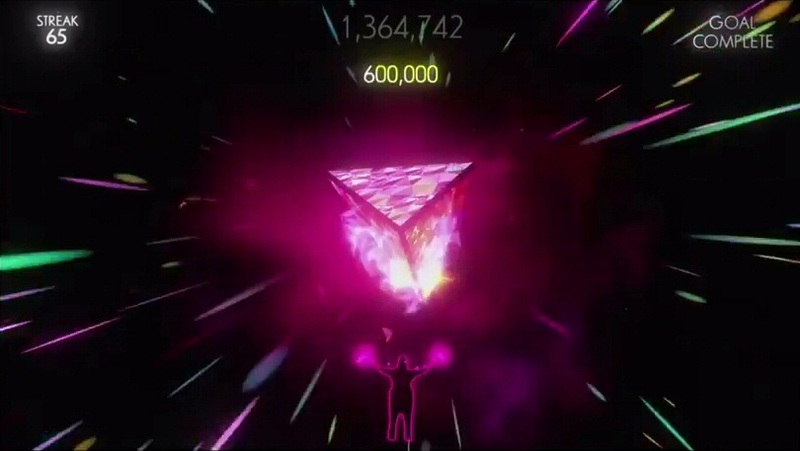 Fantasia: Music Evolved is a pretty simple game that anyone can play right away with no previous experience or warm up required. All you have to do is match your movements to the arrows on the screen. Sometimes this is easier said than done, with all the sparkles and moving backgrounds going on at once! And if at first all I managed was a bunch of jerky motions attempting to not miss a beat, eventually the process became a bit more natural and movements started coming together like a dance. 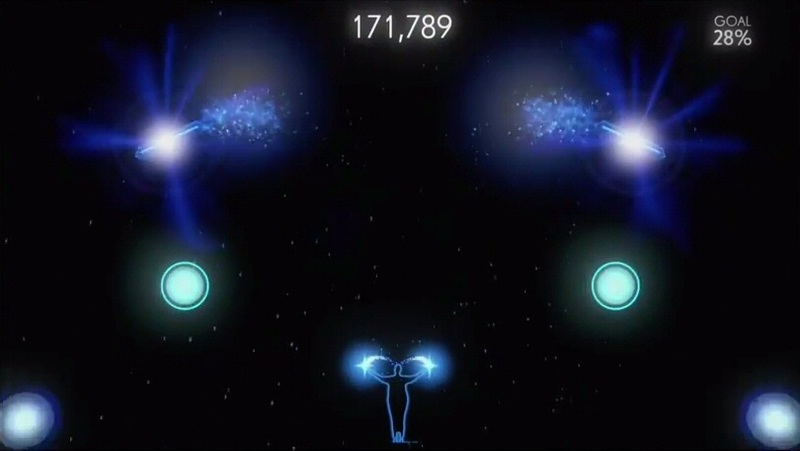 To add to the sparkles and confusion of movements, the multiplayer mode makes things a little more complicated by assigning specific movements to each player, and sometimes the same movement to both. This is done by color-coding the arrows and circles, which sometimes will appear with both colors. The track list has something for everyone, from classic to contemporary. I must say I was doing better with the classics, since that's what I'm familiar with. Unfortunately, I can't identify with any of these newer tracks, nor do I want to, and most of them were just annoying the hell out of me. Bruno Mars was making me angry, Lorde was just painful to listen to, Rhianna made my ears bleed and that Missy Elliot song was nightmare-inducing. But the worst has got to be Galang. Ew. 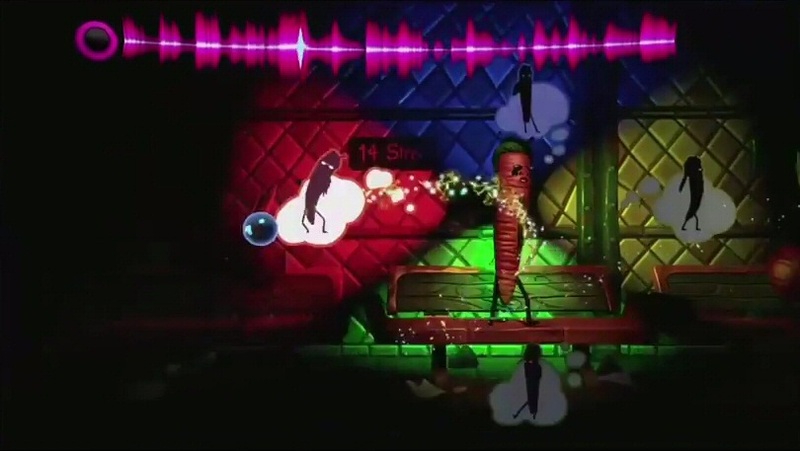 What a pile of expletive deleted that is, and just as I had forgotten all about it from Dance Central, here it is again to haunt me. Needless to say, after playing each of those TWICE - to unlock the required fragments and mixes - I had to go back and play something else to forget about what is considered music nowadays. I was glad to find Queen, The Police, Depeche Mode, Elton John and New Order in the mix, but more than happy to replay any of the classical arrangements by Vivaldi, Dvorak, Mozart or Mussorgksy. I found that the soundtrack lacks some Disney magic though. I guess I was expecting some staples of the music we've seen throughout the years. It would have been nice to conduct the Little Mermaid's Part of Your World, Aladdin's A Whole New World, even some of the Maleficent's fantastic symphonic soundtrack. Maybe something for the DLC, which has already begun to appear. Once you finish the story, there isn't much else to see, unless you are still missing collectibles. But to truly get 100% in the game, you must go back and play every single song on the play list (some songs are not part of the story, and are added to the list as bonuses) to unlock all the mixes. 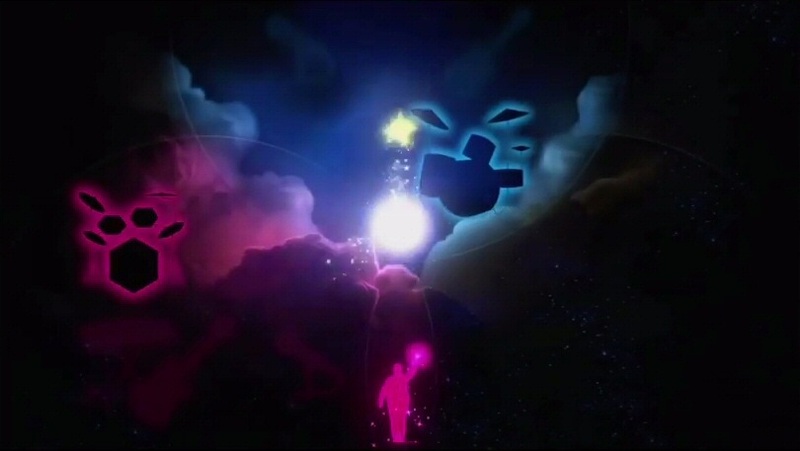 I think my favorite moments with Fantasia: Music Evolved are the little activities you can do all over. The mini-games are excellent and I could play an entire game based on those. A lot of them made me smile: the yeti and cardinals attempting harmonies, the hide and seek sessions with the same big-eyed yeti, invisible cats leaving prints in the snow. Some were just hilarious, such as The Cool Cuts, a bunch of vegetables with some cool beats. A good number of them are just impressive and quite magical, like the angry dragon or the ancient tomb. Just interacting with different things in each realm is a little magical experience, be it spreading spores to "plant" mushrooms or catching rays in solar panels in space. The Kinect's movement recognition is nothing short of impressive, and the only issue I had with it was somehow it would insist on adding the shape of the throw on my sofa next to me on screen. Weird, but hey, at least it didn't interfere with functionality! 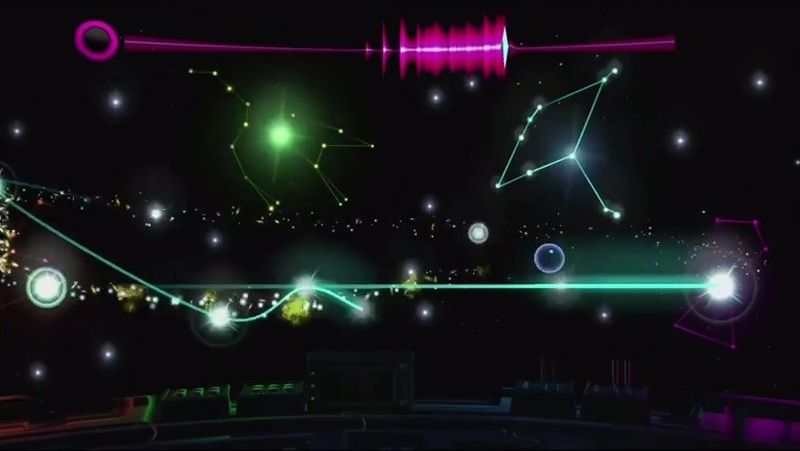 My own musical preferences aside, I had a lot of fun playing Fantasia: Music Evolved. It's interesting what you can do with the composition spells, how they play in the background bringing your personal touch into the realms, and how the different arrangements and mixes can alter a song. 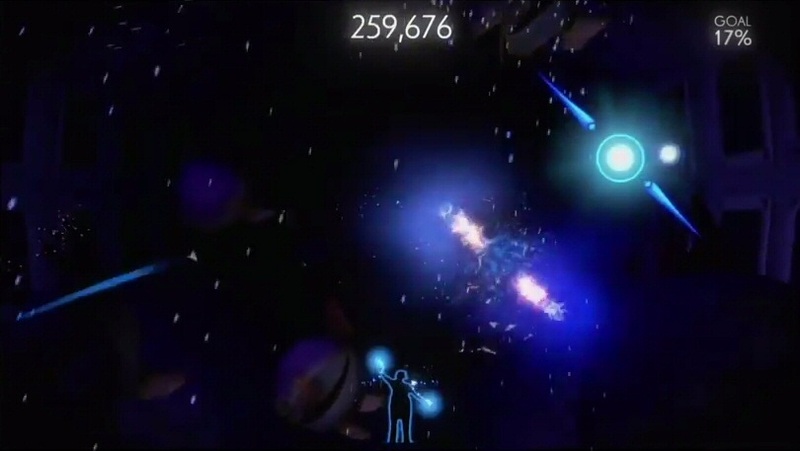 You can even share your performances (without the Kinect silhouette) and upload them to the official Youtube Channel. 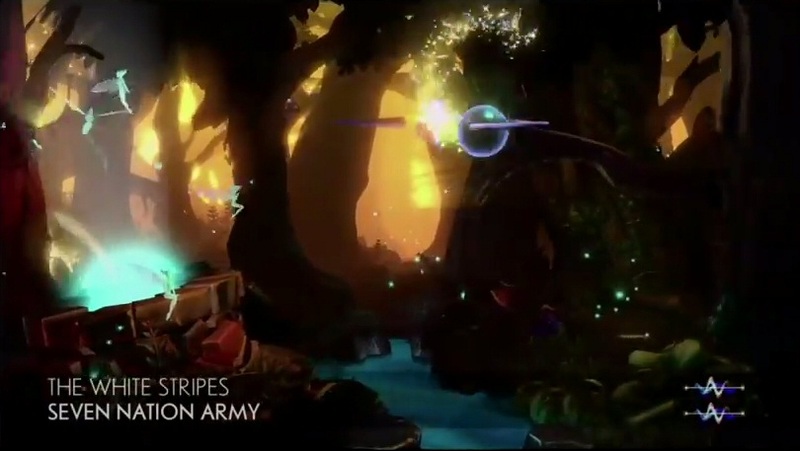 If you're a fan of rhythm games and don't mind flailing your arms around, give Fantasia: Music Evolved a try. This is one magical world definitely worth exploring.